The JooJoo had an interesting gestation yet seems to have passed below the radar since birth, despite impressive 1366 x 768 HD screen and fast, dedicated web browser claims. The hardware wasn’t badly priced, coming in at £319 + VAT and Duty in the UK – so what’s happened? Somehow the hacking community appears to have overlooked the device too – at least when compared to the first Eee and similar devices. 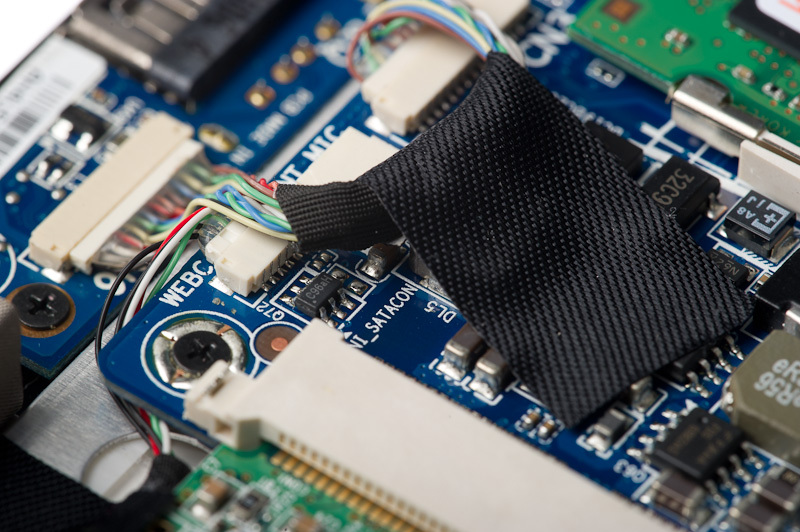 Yet it offers good, solid and attractive hardware to base projects on. This article was originally written in July 2010, and held over for new announcements. JooJoo is based on Intel hardware and is at first glance an incredibly simple device. Never mind having one button – JooJoo has none if you ignore the single-purpose power button! The entirety of the screen is black high density plastic (it doesn’t feel like glass), the back is pressed metal though it appears in some pictures to be painted plastic. The metal is very thin, and doesn’t appear to affect WiFi performance. This good signal acquisition is partly due to the use of diversity antenna, and partly due to mounting them on the front panel rather than deep within the internals. 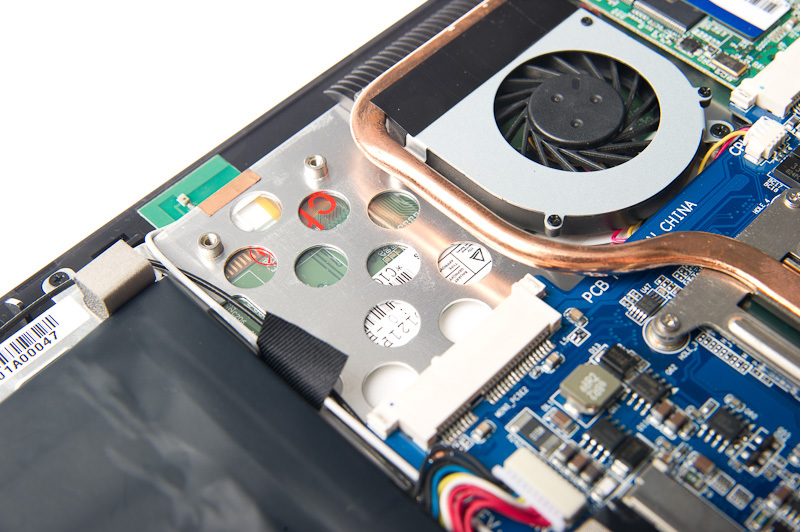 Elsewhere in the JooJoo, we find a sensible heat-pipe arrangement for cooling – the PCB area dominated by the Nvidia MCP79 ION chipset (essentially an Nvidia 9400M, the same GPU as the Macbook), a large battery that occupies a good chunk of the available space, controllers for the touch screen interface, a standard 200-pin SO-DIMM, and two expansion options. 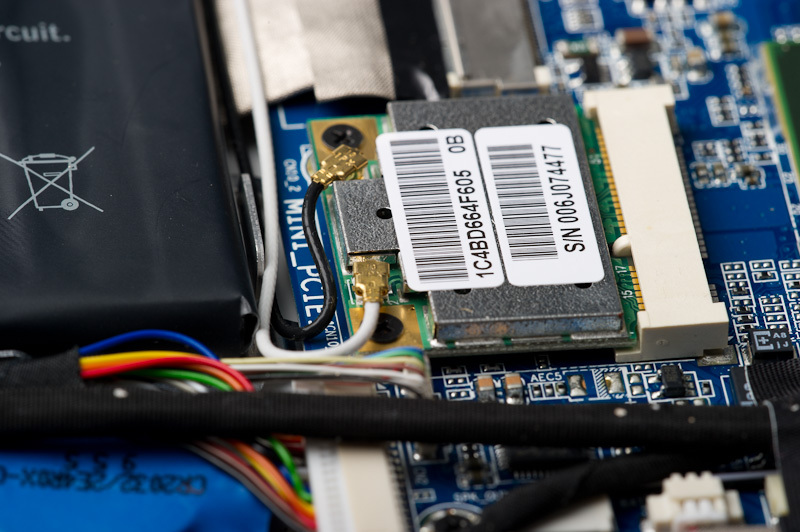 One, a Mini-SATA card for storage with 4GB card installed, and one Mini PCI-E waiting for the future 3G/HSDPA or other connectivity solutions. The SIM slot is already provided, on the panel beside the power switch. 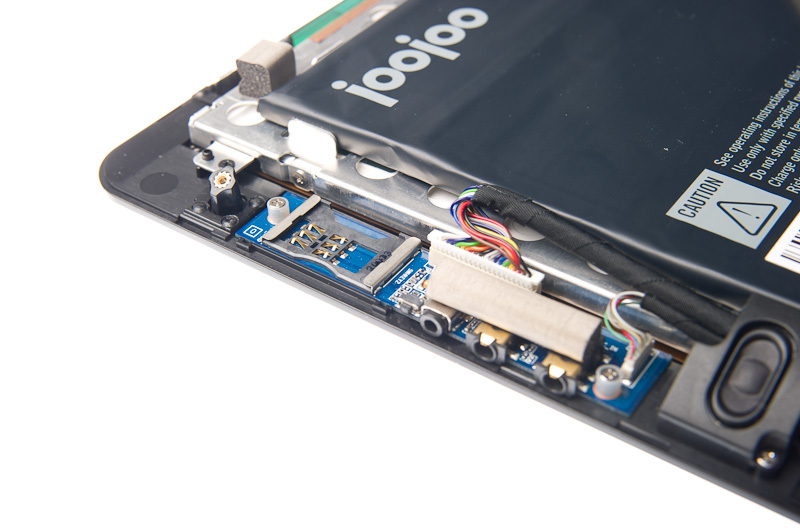 The arrangement of this SIM slot suggests that the JooJoo will be a “closed” provider device, with no user access to the card. 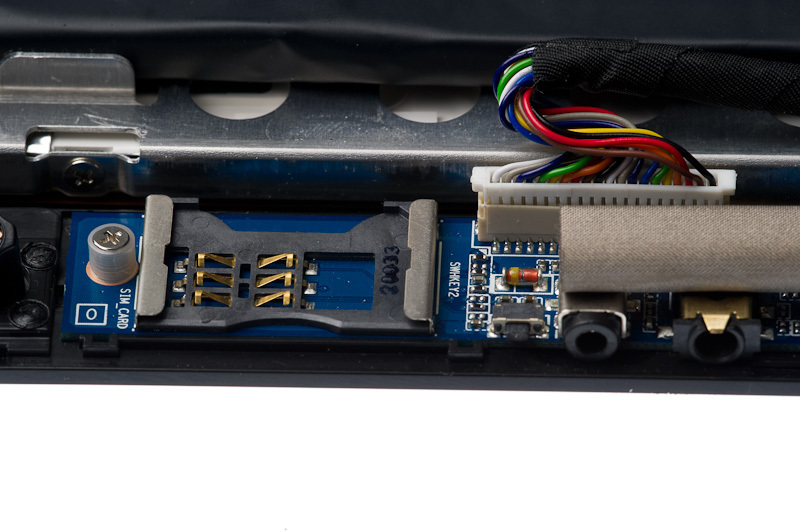 The memory is upgradeable and whilst some users have claimed to have tried Mini-PCI SSD storage in the Mini SATA slot and drawn the conclusion that the slot or memory module must be custom, it’s all looking very much like an off-the-shelf setup to me. I don’t think anyone’s going to spring for a larger card just to see if it works however. The chipset in the JooJoo is allegedly an N270 with NVidia ION, though I’ve also seen references to Z530 and GMA500. Curiously if it is the GMA500, it’s now finding Hackintosh success with OS X running on the JooJoo as early as June 12th – and the GMA500 used to be a barrier). The WiFi is provided by a half-height Mini PCI-E card; it’s currently 802.11g but presumably 802.11n would be an appropriate upgrade if you needed it and were running an alternative OS. Naturally, I don’t advocate taking your JooJoo apart or abusing it; whilst you’re legally allowed to open your hardware without voiding the warranty, your distributor or manufacturer is not legally obliged to fix your mistakes; and opening the case on the hardware is pretty much asking for it on a device you’re only going to open to make changes to (upgrading the RAM won’t make the slightest difference to a stock JooJoo). This is why I’ve done it for you.